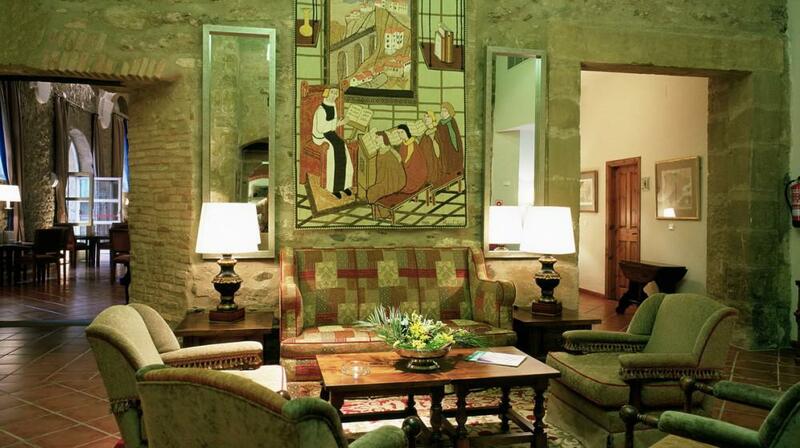 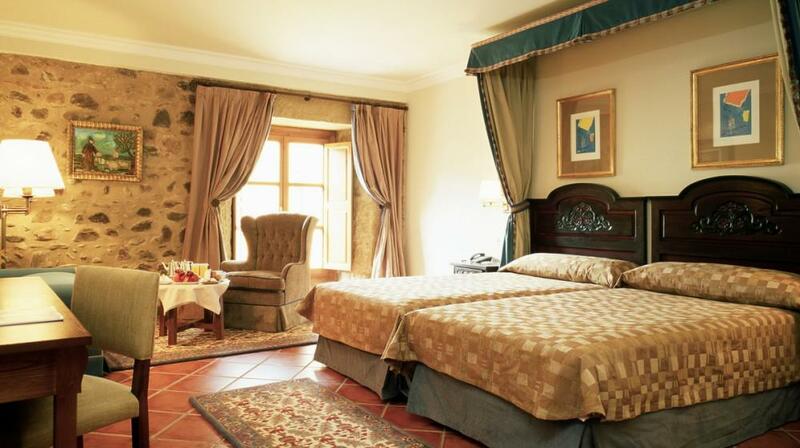 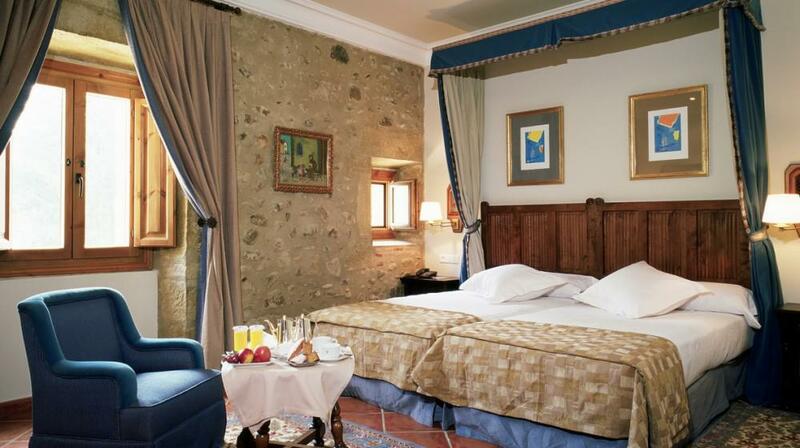 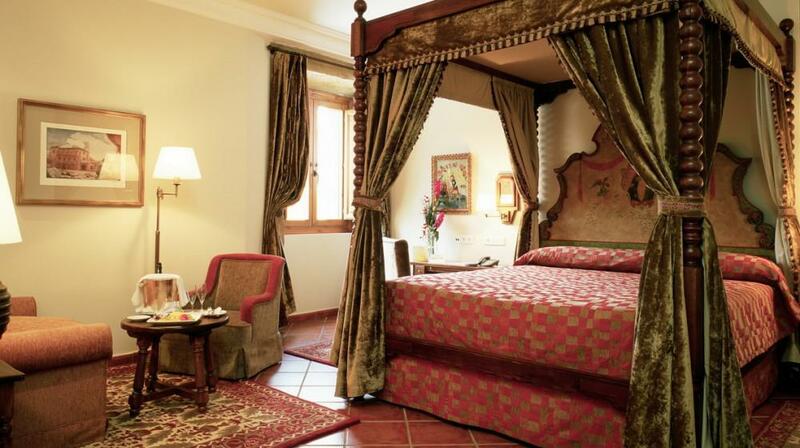 The Parador de StoDomingo Bernardo de Fresneda occupies the former guest room of San Francesco monastery, located near the historic centre of Santo Domingo de la Calzada. 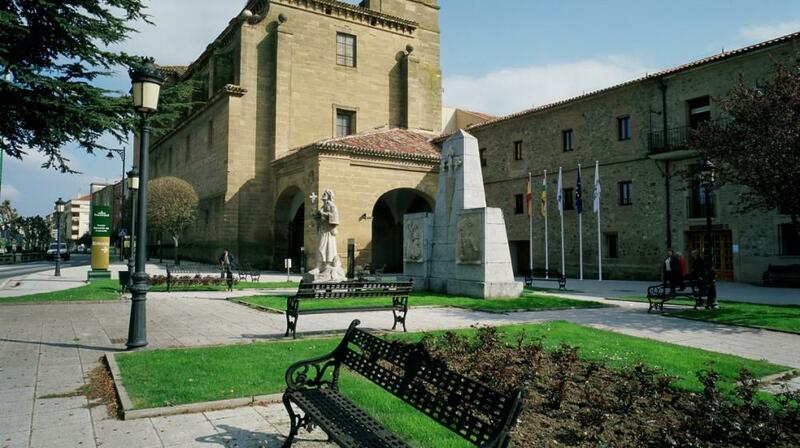 The city on the banks of the Oja is only 46 km from Logroño, 68 km from Burgos and its privileged position right on the path to Saint-Jacques, cultural and natural, makes this an ideal site for rural tourism and sports such as golf, hiking and even for winter sports at Valdezcaray. 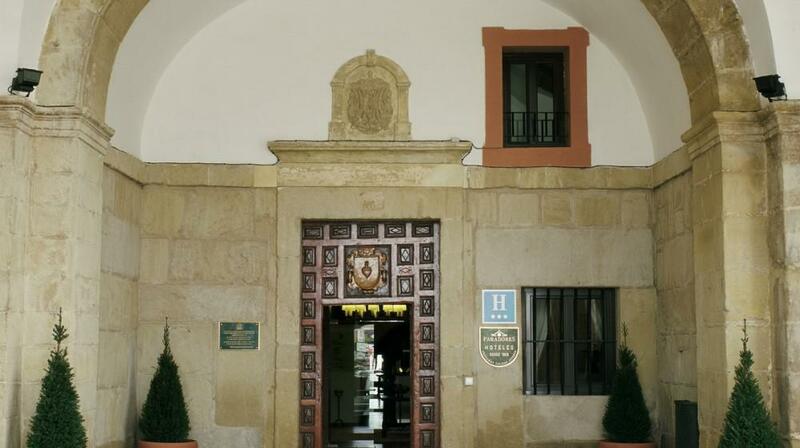 It is also an ideal starting point to monitor the monastery pathways and the famous roads to the vineyards in the famous area of Rioja, with its “Haro” cellars (14 km). 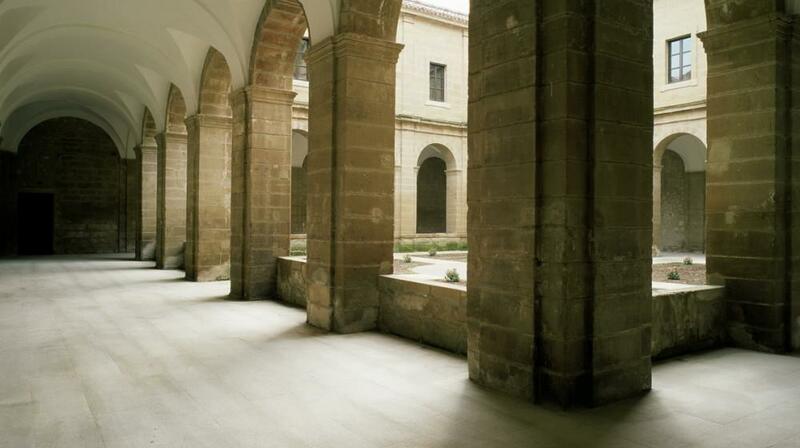 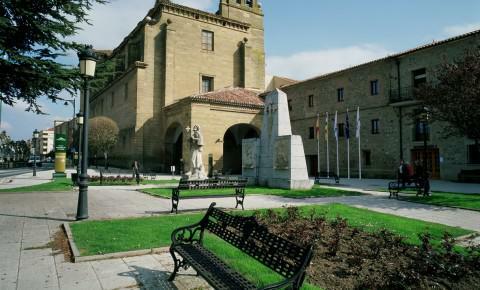 After the renovation works of the convent of St. Francis, the complex has three different buildings: the church, museum shop and inn for the pilgrims, the latter turned into a Parador. 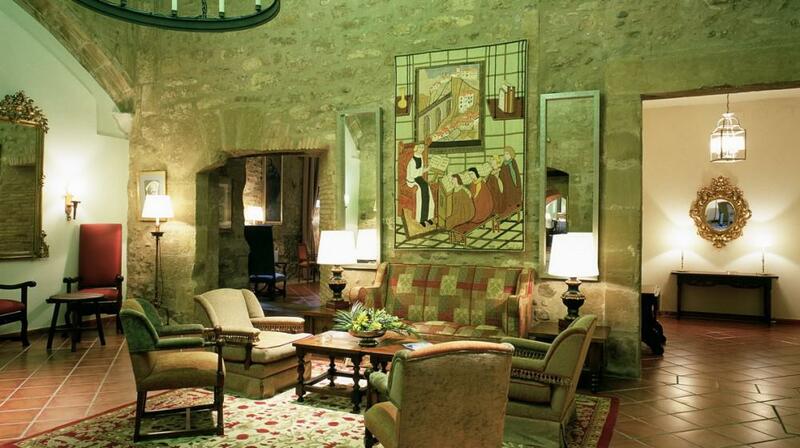 You can clearly note the contrasting decorations, in shades of blue, grey and red in the rooms, decorated with religious paintings and modern style pieces. 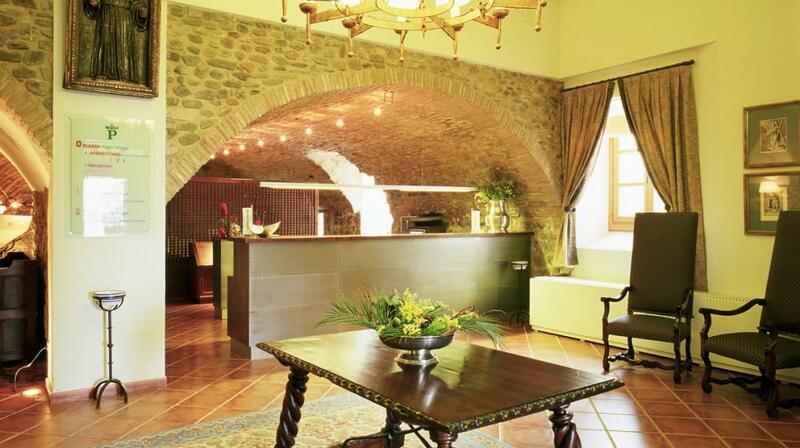 The restaurant constantly searches for the roots of La Rioja cuisine and has one of the most innovative wine cellars of the region. 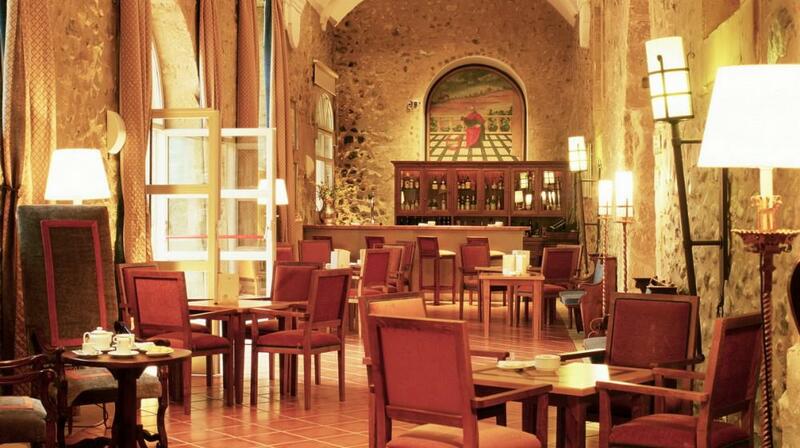 The specialties include the typical "Piquillo", roasted lamb chops in the Sierra de Cameros, vegetable stew, Rioja cod fish, St. Domingo cake and the famous Rioja wines with guarantee of origin.